As someone with a longstanding interest in reports of giant but scientifically-unconfirmed forms of carnivorous plant, in my book The Beasts That Hide From Man (2003) I compiled a detailed chapter of accounts relating to this fascinating subject, and which remains the most extensive single coverage of it ever published. 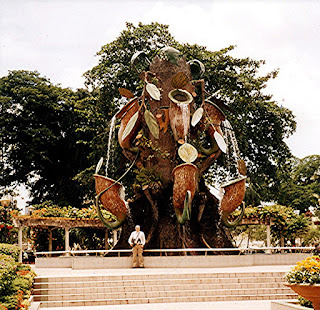 They included such infamous examples as the reputed but highly implausible Madagascan man-eating tree (click also here), a range of ferocious flora from Mexico, Central, and South America, and even a still-unidentified mouse-eating plant from India that was once supposedly on public display in London. During the 15 years that have passed since my above-noted book was published, I have obtained information concerning several additional but equally mysterious examples, and I may well prepare a sequel chapter in some future book or possibly an article for a periodical or for online reading here on ShukerNature. 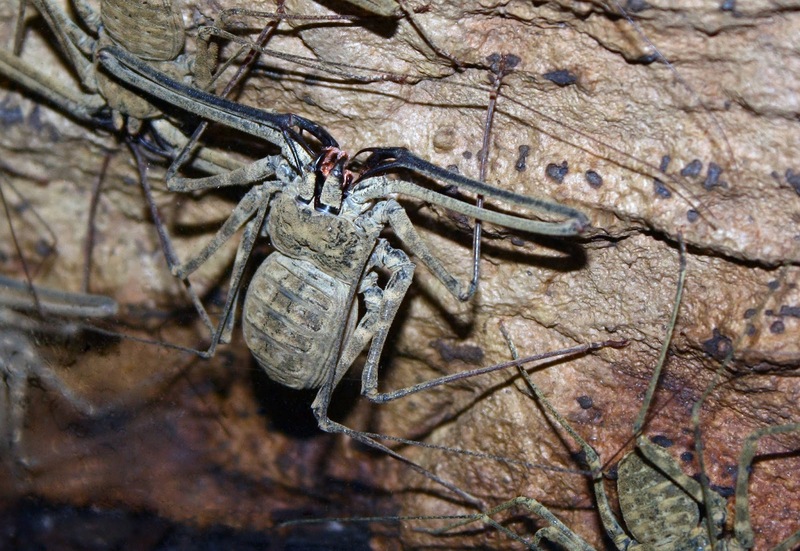 However, although collectively they allegedly exhibit a wide diversity of forms and prey-capturing techniques, not one of these contentious botanical beasts has ever been of the pitcher plant persuasion – until now. 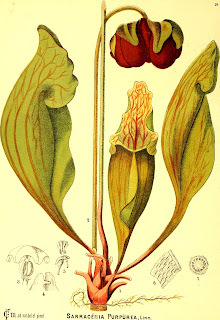 Pitcher plants famously possess deep liquid-filled cavities, the liquid being produced by the plants as a combined drowning agent and digestive fluid, and the pitchers typically forming from either specialised cupped leaves or buds, into which they entice small crawling or flying insects, utilising eyecatching pigments or nectar bribes. 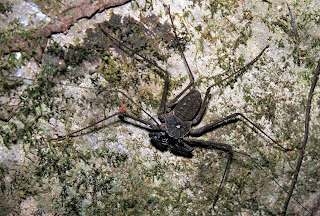 Once inside a pitcher, the insect cannot escape, the pitcher's internal wall being extremely slippery and sometimes bearing downward-curving spine-like hairs too, which prevent its hapless victim from exiting, so it ultimately drowns in the liquid, whereupon its body duly dissolves, and its nutritional constituents are then absorbed by the plant, often via glands in the pitcher's lower regions. 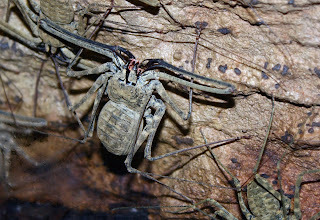 Happily, however, as will be discussed in more detail later, even the largest of these fiendish botanical snares are of only quite modest dimensions, incapable of trapping anything bigger than a small lizard or rodent – all of which is why the following case, recently discovered online by me but not previously formally documented and examined, is so fascinating, and not a little frightening too. Ok so I live in the Pine Barrens of NJ, USA and when I was about 12 me and my older cousin walked 5+ miles into the wilderness (he was hunting I was just along for the adventure) and Midway through the day we come across a 4 or 5 ft high weird type of pitcher plant. My cousin who was around 26 or 27 at that time knew it wasn't the normal type of pitcher plant we see in the area. It was oozing a purple ish white thick sap that look liked purple ish Marshmellow fluff and it smelled like a rotten corpse. Long story short... we got home and did research...the plant doesn't exist, or should I say isn't recognized by science. The pitcher part of the plant was 80% of the plant while the known pitcher plants have these little tiny Pitchers. The plant looked like it was from the rain Forest or was CGI from the movie journey to the center of the earth. We didn't touch the thing but I wish we would have opened the pitcher...it could have been a deer in it rotting away, it was that big and wide, skinnier at the top and bottom. I went to the spot 8 years later and couldn't find the plant...I've been there 5+ times since I'm now 26 and haven't seen it since 12 and my memory of the directions of getting to the general area of the plant are slipping each type....someone tell me they've seen an unidentified plant because I've never heard of anyone else having seen one. That is actually the first time either of us have said anything outside the family. 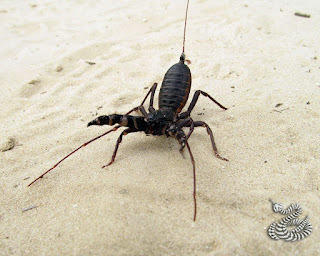 The area we were when we encountered this is probably 15 to 20 miles from the Pygmy Forest in NJ. It's an area of pine trees that grow only 4 ft tall for some reason (I don't think science knows) but the pine barrens has a decent about [sic – amount] of organisms that are only found here, those dwarf pine trees are one of them. You can get an idea of the area if you search Dwarf pine forest New Jersey or Pygmy Forest NJ. Ironically I've witnessed triangle shape UFOs in the area as well and if you look it up you can find the news story because a lot of others witnessed these too. Not saying they are connected. It's a weird area for sure. 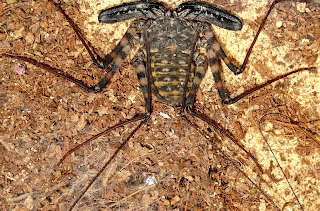 If this report is genuine, and obviously there is no way of knowing for certain without any independent corroboration, then the plant described in it is truly exceptional – indeed, truly monstrous – for several very different reasons. 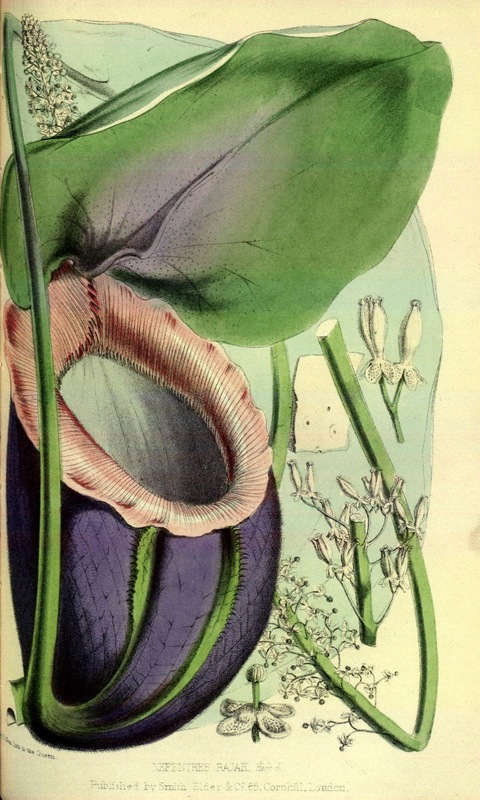 But before proceeding any further, it would be worthwhile to put this case in context by reviewing the basic attributes and geographical distribution of the various types of pitcher plant that are already known to science. 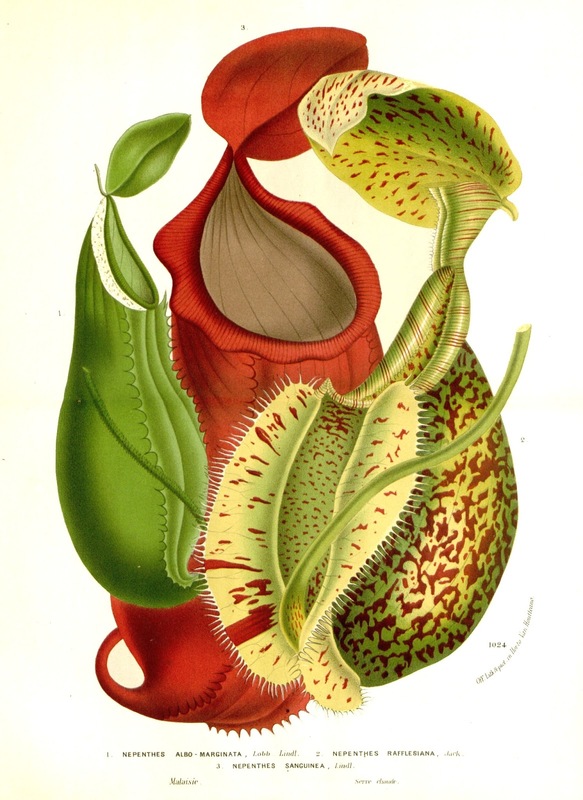 Pitcher plants occur in various forms and constitute several different taxonomic families, of which the largest and best known is Nepenthaceae. This family contains approximately 150 species as well as numerous hybrids and cultivars but all belonging to the single genus Nepenthes. 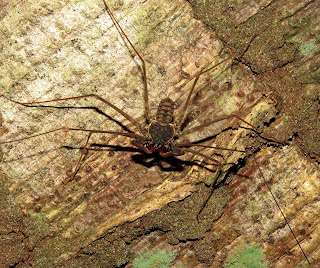 Native to the Old World (predominantly southeastern Asia but also Madagascar, Sri Lanka, New Guinea, and northernmost Australia), these are the ones whose sometimes sizeable and often very brightly-coloured pitchers are featured so frequently in television documentaries concerning tropical forests. These plants' pitchers begin as buds and are borne at the end of tendrils extending from the midribs of normal leaves. 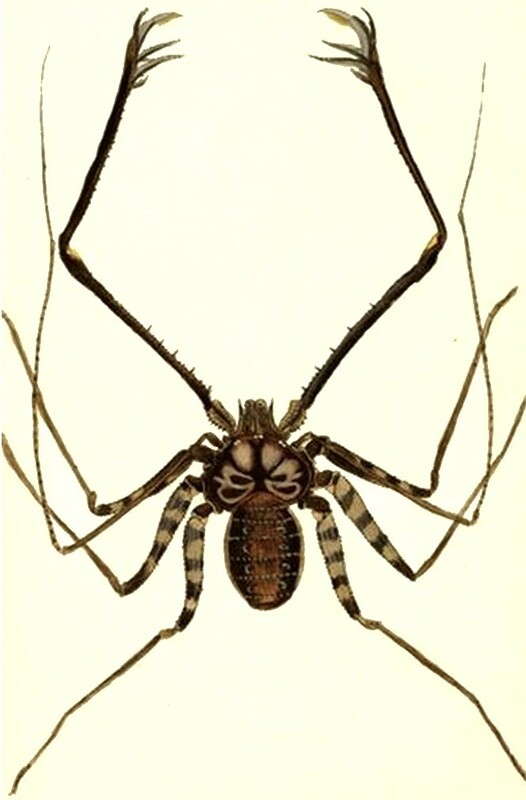 They sport a small lid acting as a landing strip for insects, which, once upon it, are then attracted by nectar lures and colouration to a very noticeable ribbed rim or peristome, brightly-hued but so slippery that when they land or crawl upon it they slip inside the pitcher. And once inside, the pitcher's highly-waxed, equally slippery internal wall is very effective in prevents them from crawling back out and escaping. Instead, they inevitably fall into the pitcher's digestive juice and drown, with their bodies' nutrients then being assimilated into the plant, leaving their carcases to collect at the bottom of the pitcher. 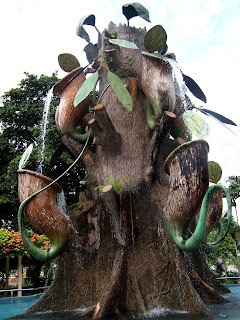 The largest pitchers of Nepenthes pitcher plants hang so low to the ground that they actually rest upon it, and these can grow to an impressive size, capable of holding up to around 4.5 pints of liquid and big enough for creatures as large as rats and lizards to drown inside them. 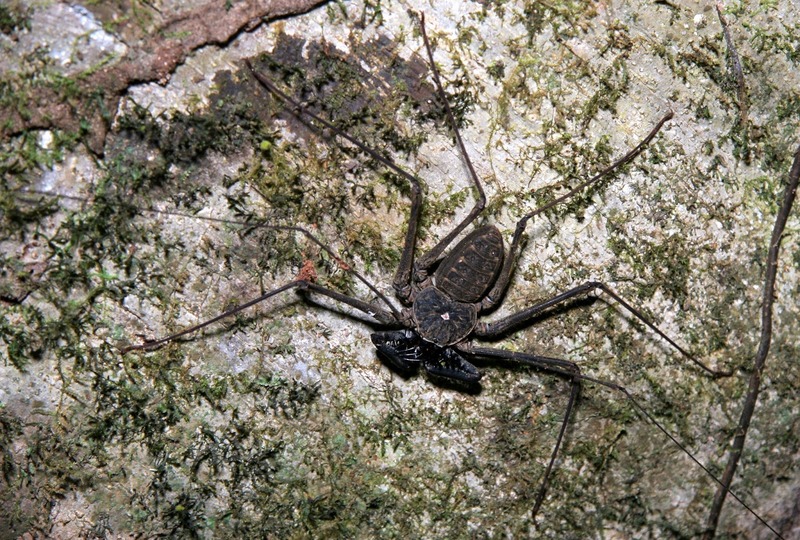 Nevertheless, it is nothing if not interesting to recall that the largest example of a pitcher so far recorded, growing on a specimen of N. rajah (native to Mounts Kinabalu and Tambuyukon in the Malaysian state of Sabah on the island of Borneo), remained undocumented by science until as recently as 26 March 2011. 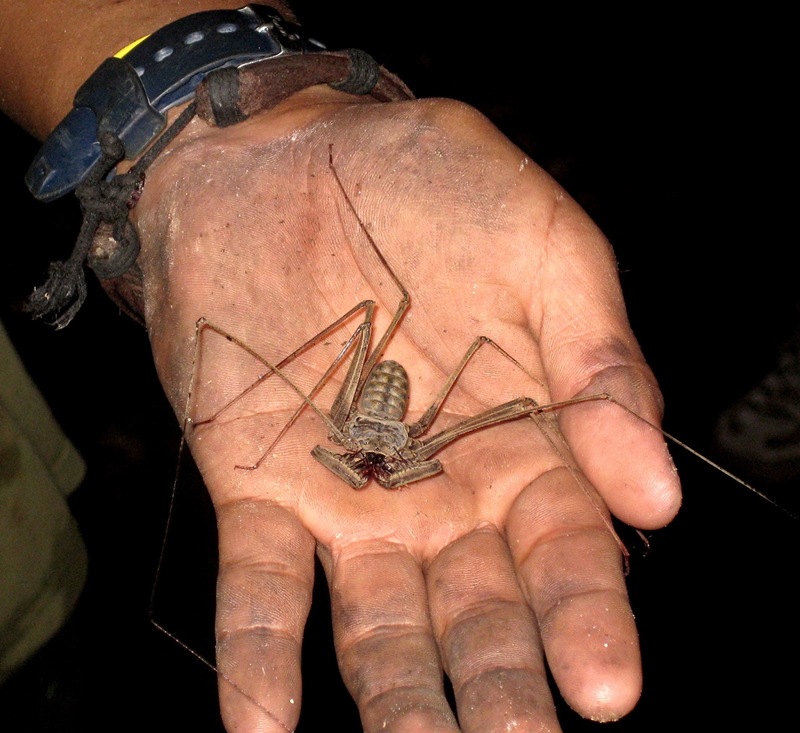 This was when it was encountered during a Sabah Society visit to Mesilau, on the east ridge of Mt Kinabalu. 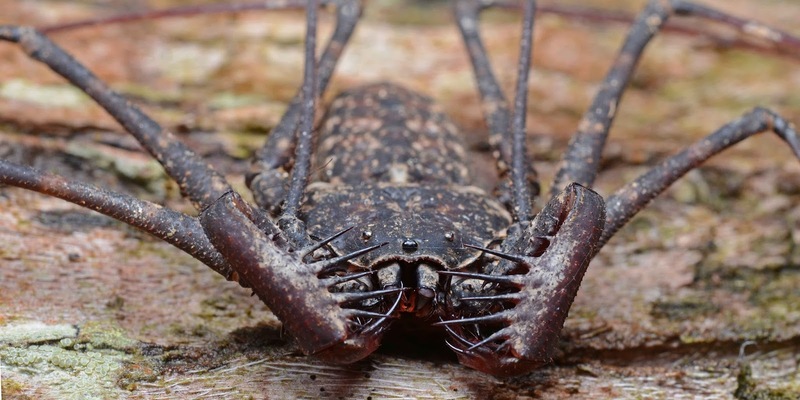 Measured by Alex Lamb, a member of that visiting team, it was found to be a record-breaking 16 in tall and extremely capacious, and it was then collected for preservation at Mesilau Headquarters. The pitcher plants native to North America, the so-called trumpet pitchers of the family Sarraceniaeceae, constituting a single genus Sarracenia that contains 8-11 species (depending upon individual opinion), are smaller, with pitchers of no more than 8 in at most, sometimes held horizontally, and consisting of leaves that have evolved into a long slim funnel or pitcher form. 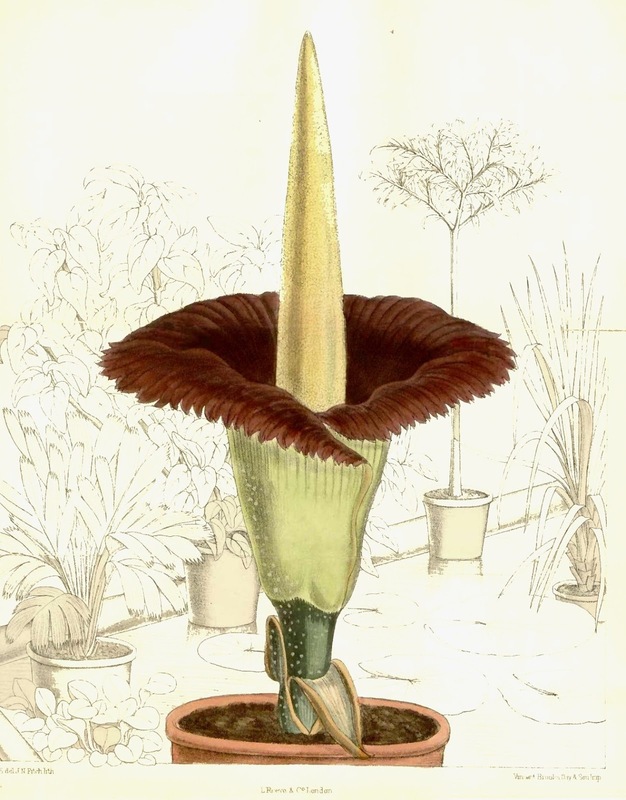 However, the pitchers look and function in much the same way as those of Nepenthes species, except that they additionally possess a much more sizeable lid-like operculum that helps to prevent rainwater entering the pitcher and diluting its digestive fluid. The slippery inner wall of the pitchers also bears fine downward-pointing hairs that provide further difficulties for any insect attempting to crawl back out. Closely related to the trumpet pitchers and housed within the same taxonomic family is the very distinctive-looking cobra plant Darlingtonia californica, native to California and Oregon. Its tall tubular pitcher-yielding leaves (up to 3 ft tall but far less capacious than those of the Nepenthes species) earn this species its memorable common name by the fancied resemblance of each of them to the rearing head of a cobra, complete with a forked leaf resembling a cobra's paired fangs or forked tongue, the forked leaf serving to attract insects and act as landing strips for them. Somewhat sadistically, this pitcher plant species is unique in providing several false exits from its pitcher, each of which tempts its trapped victims to crawl towards it, hoping to escape, but only to fail time and again when they invariably discover that the apparent exit is not an exit at all, until finally they become so exhausted that they fall down into the digestive fluid and die. Also contained within the taxonomic family of trumpet pitchers are the 23 species of South American marsh-dwelling pitcher plant belonging to the genus Heliamphora. 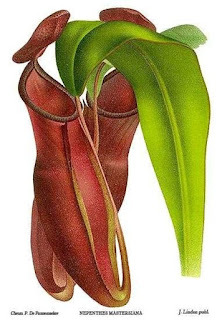 In these species, the pitcher consists of a folded leaf whose edges are fused together into a tubular shape. Depending upon the species, the pitchers range from just a couple of inches tall (in H. minor and H. pulchella) to over 20 in tall (in H. ionasi). 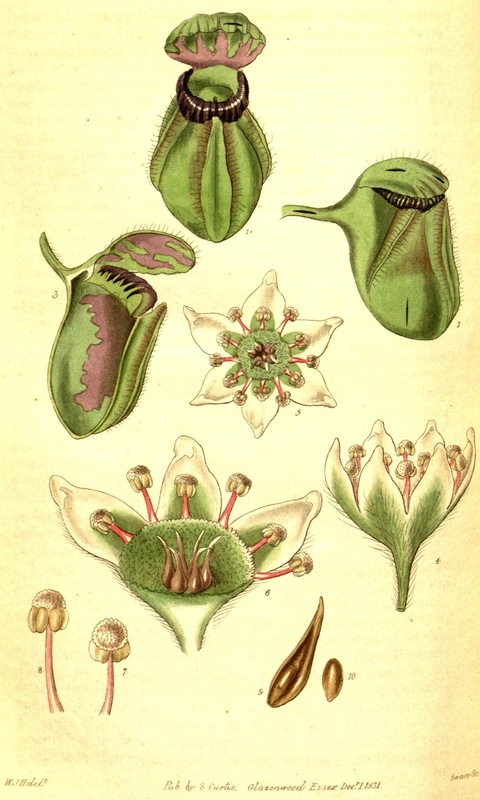 Completing the preponderance of pitcher plants around the world is their sole Antipodean representative, the Albany pitcher plant Cephalotus follicularis, limited to just a single location in southwestern Australia and the only member of its taxonomic family, Cephalotaceae. Its pitchers are only around 2 in long, and resemble moccasin shoes. 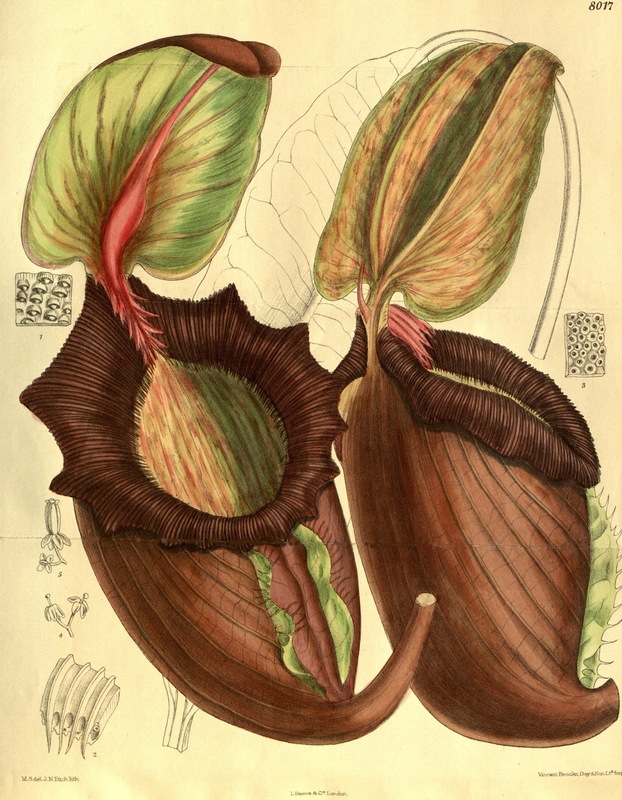 Re-reading Kai Russell's claimed sighting of the mystery mega-pitcher plant from New Jersey, USA, in light of what I have written above regarding the much smaller, known pitcher plant species on file, a number of points relating to the plausibility or otherwise of the former immediately come to mind. Namely, this crypto-plant's size and, as a result of that, its likely prey; its solitary pitcher plus its own solitary presence; and the apparent lack of knowledge concerning it among anyone else in the vicinity. 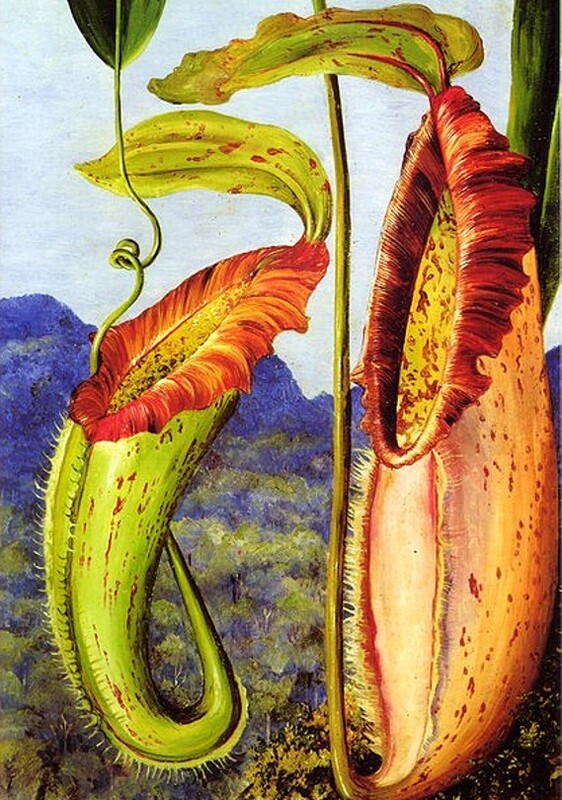 The truly monstrous, enormous size of this mystery pitcher plant is such that doubts as to its reality were uppermost in my mind from the very moment when I first read Russell's testimony. 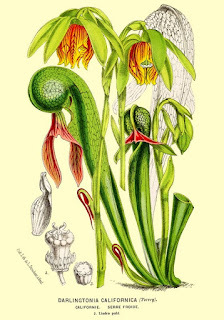 After all, it is not merely twice or even three times taller than known pitcher plant species – at an estimated 4 to 5 ft tall, its pitcher is 6 to 7.5 times taller than those of known American pitchers (Sarracenia spp. 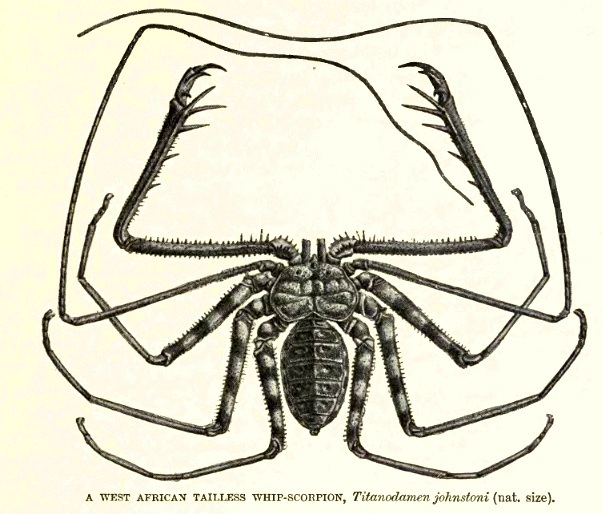 ), and is even 3 to 3.75 times taller than the tallest pitcher specimen ever confirmed for any recognised species (i.e. the 16-in pitcher from a Nepenthes rajah plant in Borneo mentioned earlier here). 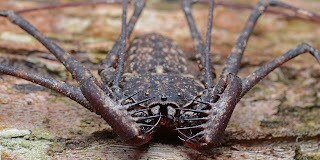 Yet we are expected to believe that such a truly spectacular, immense species has remained undiscovered by science, and not even amid the dense, sometimes scarcely penetrable, hostile rainforests of southeast Asia but merely in a far from inaccessible or inhospitable area of North American wilderness in New Jersey? Moreover, this mystery plant's huge pitcher size leads me inevitably to contemplate why it is so huge – what potential prey could have incited the evolution of such a vastly-capacious vessel in order to ensnare it? 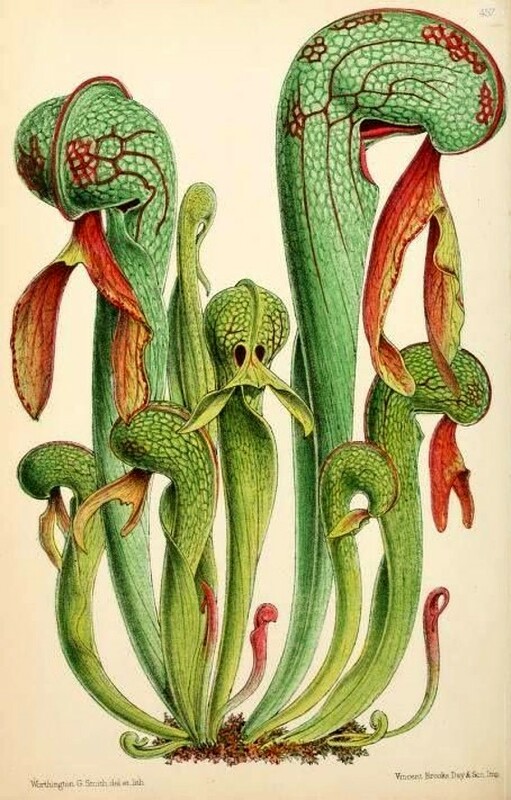 With smaller pitchers, their prey are in turn much less robust and hence far less capable of escaping from the pitcher than anything big enough to find itself inside the giant pitcher of this mystery plant. 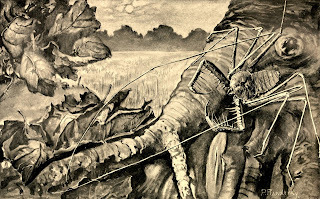 Russell speculated that perhaps its pitcher contained a deer – but how would a deer come to be inside such a pitcher in the first place? 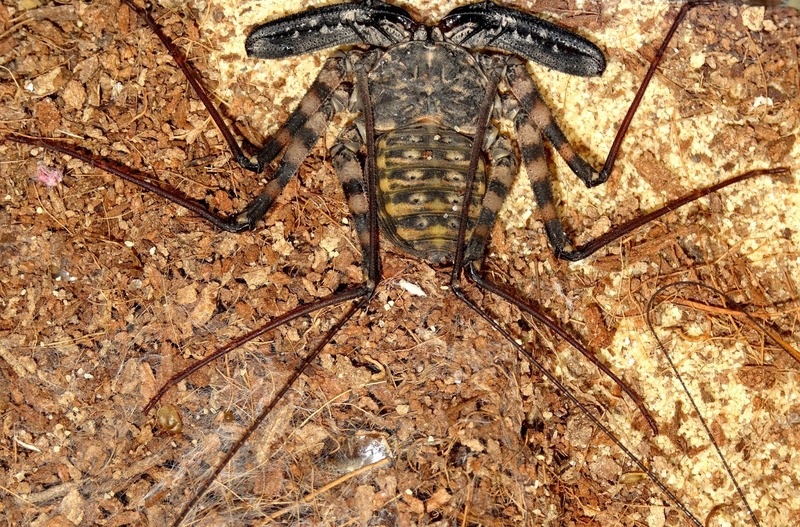 It wouldn’t simply drop (or fly) inside, in the way that insects and very small vertebrates like tiny lizards or frogs do with normal-sized pitchers – instead, it would have to physically jump inside, but what would induce it to do that? And even if it did do so, what was to stop it simply jumping back out again? 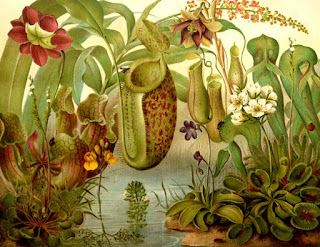 True, Russell noted that he wished that he and his companion had opened the pitcher, this comment thereby implying that the pitcher possessed an operculum, serving as a lid, as do the pitchers of various smaller, known species of pitcher plant. Yet even if such a lid were indeed present, could it really be firm enough to prevent something as large and powerful as a deer from forcing its way out? And in any case, what could such a plant do if a trapped, panic-stricken deer began kicking at the pitcher's enclosing wall with its sharp hooves, tearing holes in it? It would need to be an exceptionally sturdy, thick-walled pitcher to withstand such activity and prevent the deer from breaking out through it. 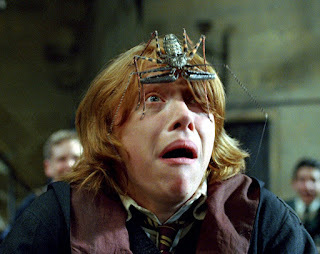 Perhaps Russell was wrong in assuming that because of its huge size, the plant's pitcher could have been containing a deer – was it the extremely noxious stench, redolent of rotting flesh, emanating from the purplish-white marshmallow-like 'sap' oozing forth from the pitcher that had inspired this assumption on his part? 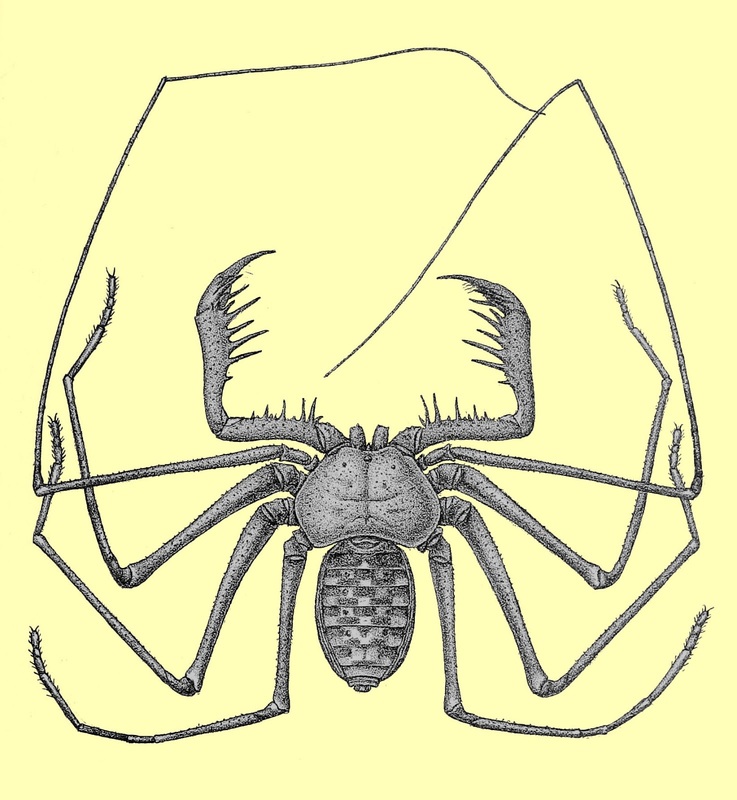 Perhaps instead of a single very large prey victim, the pitcher actually contained the carcases of several smaller victims, such as rats, opossums, snakes, or other small/medium-sized vertebrates. Yet even less sizeable species like these are still sufficiently robust, surely, to be able to clamber back out again if for any reason they should have initially fallen or climbed into the pitcher (lured, perhaps, by some inviting scent?) 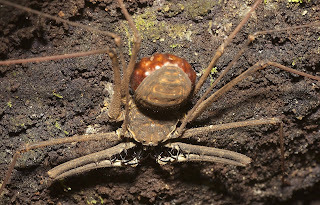 – unless, of course, the inner walls of the pitcher are, as in smaller versions, too slippery to provide them with footholds when attempting to climb out, so that they eventually drown in the digestive juices presumably present inside the pitcher? Speaking of juices and fluids, just what was that vile-smelling sap-like substance seeping from the mystery plant anyway? 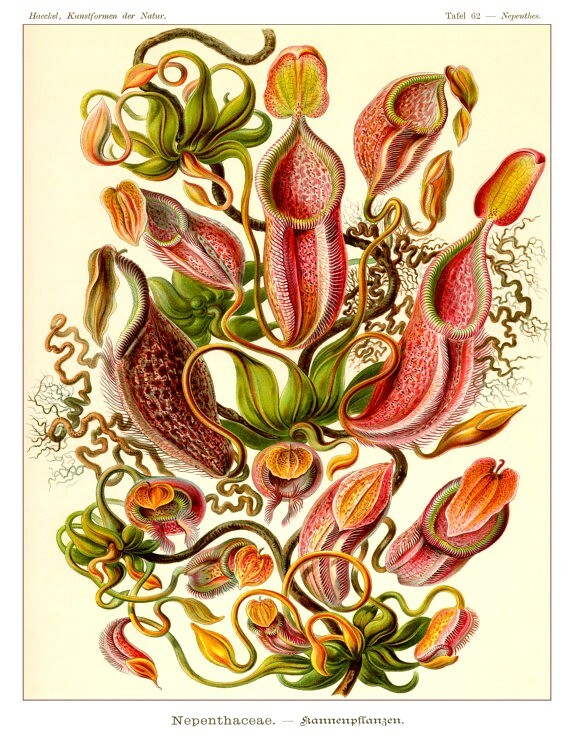 I've never heard of anything like that in relation to known species of pitcher plant. And why was there only one such pitcher present? 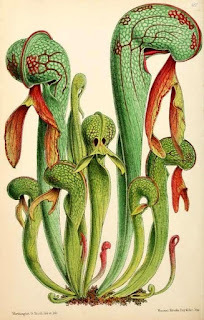 In known, smaller species of pitcher plant, more than one pitcher is produced simultaneously per plant – I am not aware of any confirmed species that only yields a single pitcher at any one time per plant. 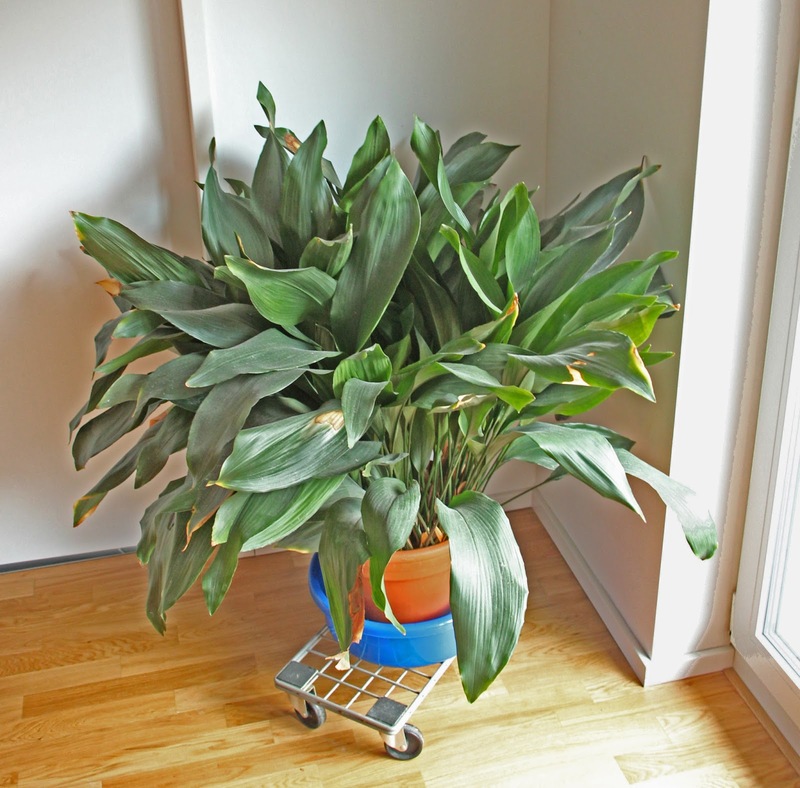 Given the huge size of the mystery plant's pitcher, however, I can conceive of how basic evolutionary survival strategy may result in a giant species producing just one huge pitcher as an alternative to a less sizeable species producing several smaller pitchers. i.e. evoking the phenomenon of r and K selection. An r selection strategy is one in which an individual produces lots of small, simple offspring, whereas a K selection strategy is one in which an individual produces fewer but larger, more complex offspring. 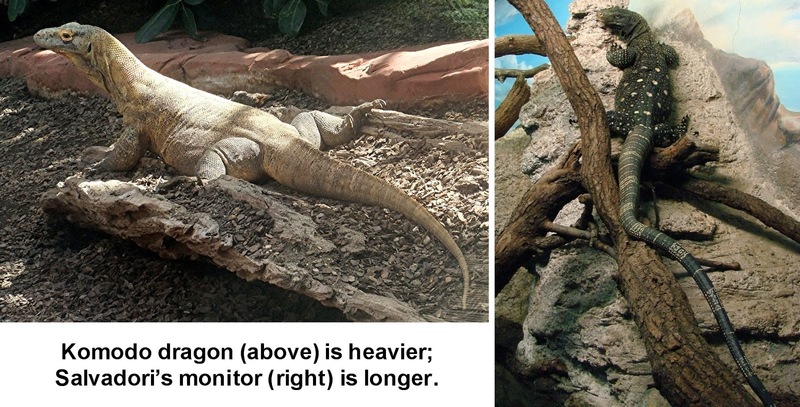 These two strategies thus represent diametrically opposite mechanisms for utilising the same amount of physiological resources to achieve the same end, i.e. 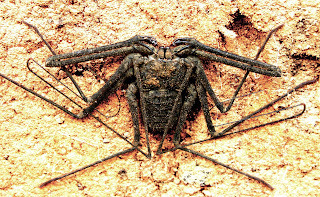 the survival of sufficient offspring for their species to remain viable. Even so, surely there would have been other such plants in the vicinity, not just one plant with one pitcher? 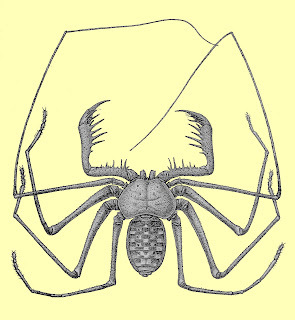 Or could it be that a very marked spacing apart of specimens would be required in order for all of them to obtain sufficient prey victims, with Russell and his companion simply not having conducted a sufficiently wide search for further specimens? This unanswered query leads directly on to yet another one – why was Russell unable to relocate this plant when he attempted to do so at various times in the future? As it seems to me to be a completely untenable, illogical assumption that only one such plant existed in this entire area, a lone, unique specimen of a truly remarkable, novel species, even if he had not rediscovered the actual specimen that he and his companion had originally encountered he surely would have found others during his subsequent searches in that same area? 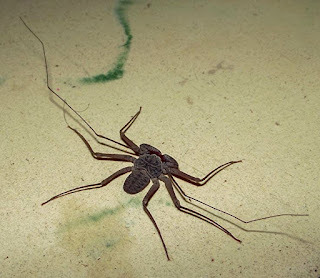 Perhaps the original one had died during the period between his encounter with it and his first search for it afterwards, but others would still be there, in the same general vicinity. Last, but by no means least, is the seemingly inexplicable scenario whereby no-one from that area is aware of such a plant's existence there, based at least upon Russell's statement that he had never heard of anyone else having seen one. 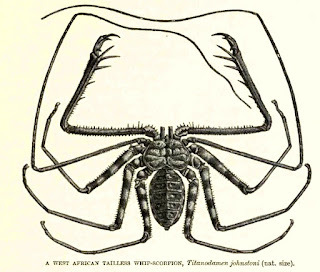 Whereas cryptozoological entities are mobile and therefore can be notoriously elusive and difficult to track down, cryptobotanical (or cryptophytological) entities are by their very nature stationary, immobile, and thereby much more likely both to be encountered and, certainly, to be subsequently re-encountered. 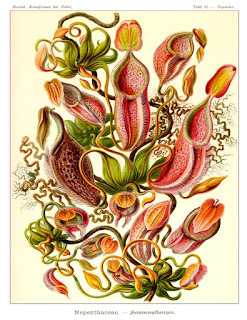 Consequently, anything as visually arresting and thence memorable as a 4-5-ft tall pitcher plant is hardly likely to go unnoticed or noticed but subsequently unrecalled by local people, especially hunters and trekkers visiting the wild yet traversable area where it allegedly existed. 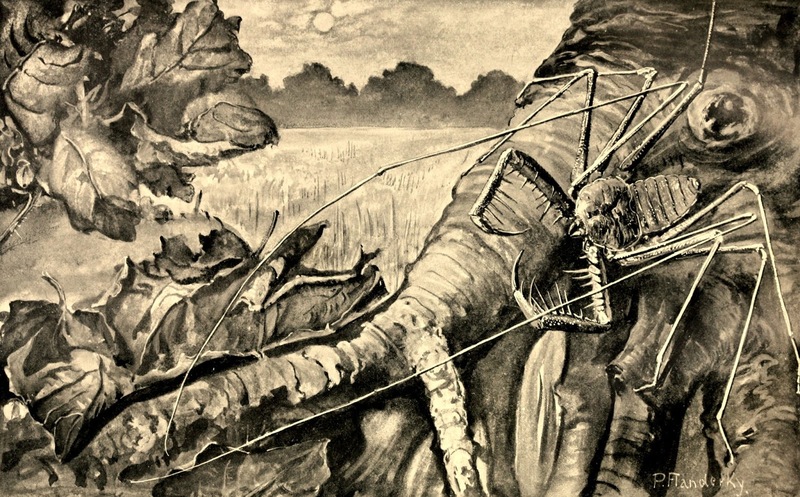 In summary: taking all of the above factors into consideration, in my opinion this account of a giant pitcher plant potentially capable of devouring prey the size of deer seems very difficult to accept. 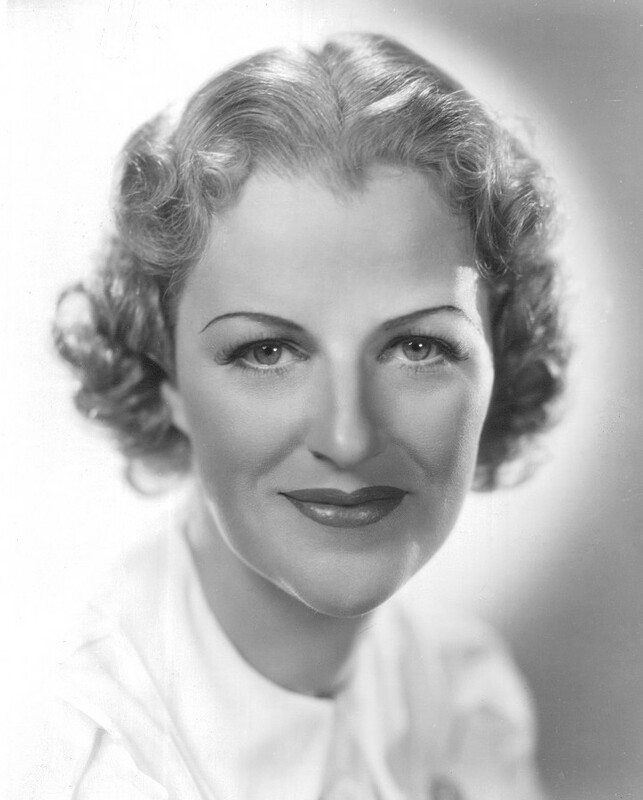 Having said that, in the absence of any independent background details I am not entirely discounting it either – perhaps there are ways of reconciling it with some known, or currently unknown, species that I have failed to consider, although at present I am not personally aware of any. Nevertheless, and as always with such cases, I would love to be proved wrong. 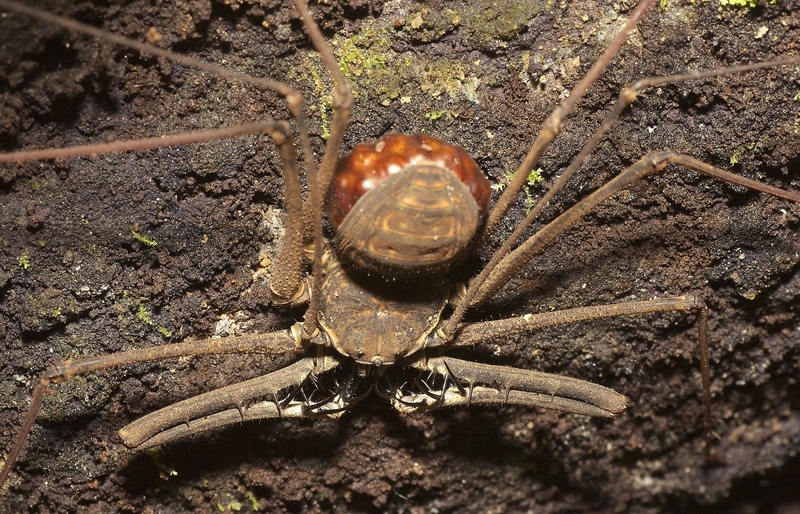 So if anyone reading this ShukerNature article can offer any additional information, thoughts, or opinions relating to its subject, I'd greatly welcome seeing them posted in the comments section below. Interestingly, when reading Russell's statement that the plant looked like something from a rainforest, an image suddenly flashed into my mind of a very eyecatching giant plant species entirely unrelated to pitchers but which did recall to a certain extent his description of the mystery mega-pitcher, and which is indeed a rainforest species. 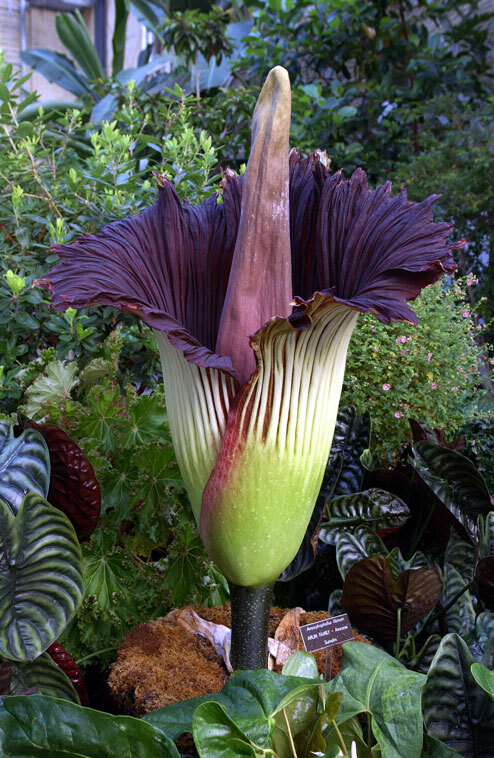 The species in question is the titan arum or corpse plant Amorphophallus titanum, native to the rainforests of Indonesia's Greater Sundanese islands of Sumatra and Java. It consists of a somewhat pitcher-shaped bract known as a spathe, out of the centre of which, during the blooming period of the plant's existence, grows a very tall spine-like inflorescence, called the spadix – which at up to 10 ft in height is the tallest unbranched inflorescence of any plant species. Moreover, the plant exudes a powerful stench reminiscent of rotting flesh, attracting flies that inadvertently pollinate the plant when brushing against its male and female flowers while seeking the non-existent carrion that they have been fooled by the plant's scent into believing is there. A titan arum prior to producing its tall, infamously phallic spadix inside its sizeable and outwardly pitcher-like spathe but beginning to emit its foul stink might, I suppose, be liable to be mistaken for a veritable giant pitcher plant, although it does not possess any operculum – but how could one explain the presence of such an exotic, tropical, exclusively southeast Asian species (and one that even in cultivation is notoriously difficult to maintain) surviving in the middle of a decidedly non-tropical wilderness within New Jersey? 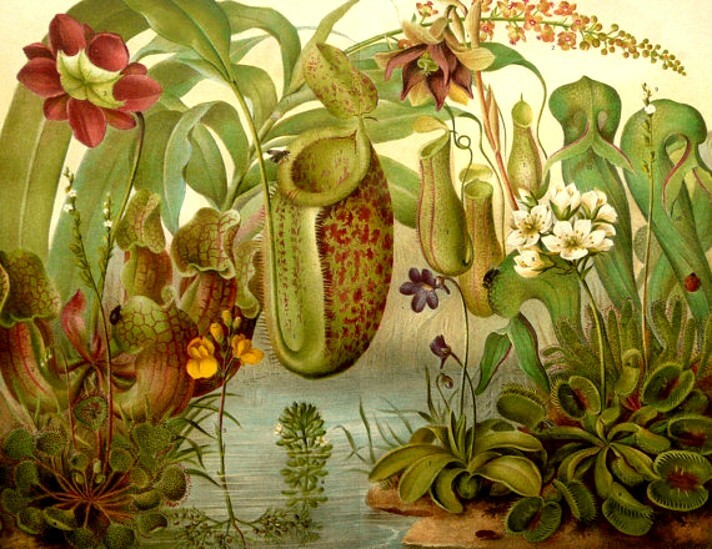 To my mind, the presence there of such a plant would be no less remarkable and mystifying than that of a bona fide scientifically-undiscovered species of giant pitcher plant! Finally: I do actually know of – and have even personally visited – one entirely genuine example of a giant pitcher plant, albeit not of the living variety, sadly. You will no doubt have noted that I made no mention in its caption or anywhere else in the present ShukerNature article so far regarding the nature of the absolutely gargantuan pitcher plant depicted in the very spectacular photograph opening this article, but now, having inflamed your curiosity for long enough, all is finally revealed. It is in fact a magnificent sculpture, an exceedingly ornate water fountain, to be exact, standing more than 25 ft tall, which is situated right in the centre of Malaysia's capital city, Kuala Lumpur. 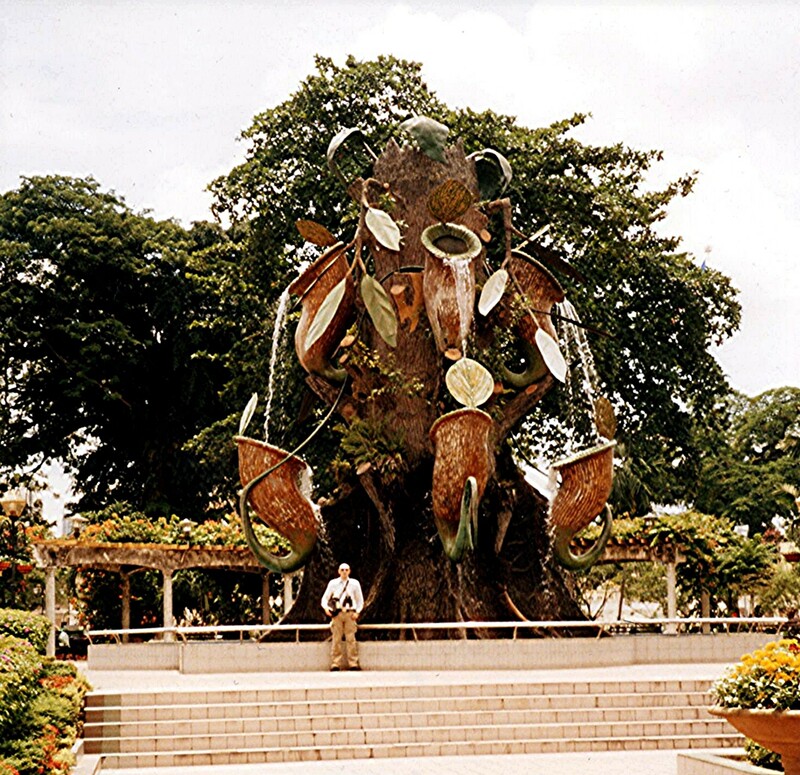 Erected on Jalan Parlimen at the edge of Merdeka Square by Kuala Lumpur City Hall and known officially as the Periuk Kera Fountain ('periuk kera' being the local name for pitcher plants), it is made of fibre-glass and takes the form of a gigantic tree stump around which the tendrils of no fewer than eight colossal Nepenthes pitchers are entwined, with a torrent of water cascading out of each pitcher. A beautiful pavilion has been constructed around it, containing benches and with shade provided by lush bougainvillea. I was fortunate enough to visit and photograph this fantastic creation when Mom and I visited Kuala Lumpur in 2005, and it was a truly breathtaking sight, entirely dwarfing my 5'10" stature when I stood in front of its surreal and even very slightly sinister enormity for Mom to snap the photo below. If ever there was an appropriate time for that famous pantomime cry "It's behind you!" to echo forth, that was definitely the time! Incidentally, if anyone knows who sculpted this superb fountain and when it was officially unveiled to the public, I'd greatly appreciate details.